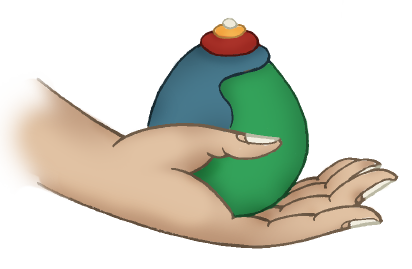 Compassion is the root of all Buddhist practices, but too often compassionate feeling is left inactive. Compassion NOW! (published in print in 2011 by KTD Publications) exhorts us to translate compassionate feeling into positive action in the world. From a teaching given in India in 2010, the Seventeenth Gyalwang Karmapa asserts that having compassion for oneself is a necessary starting point. 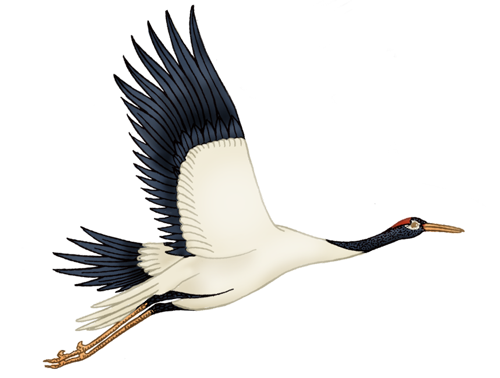 From there we can expand compassion to include those beings with whom we have a close connection, and from there expand it even further to develop immeasurable compassion for all sentient beings. We accomplish this through the mahayana practice of mind training, which the Karmapa discusses here with great clarity and insight. 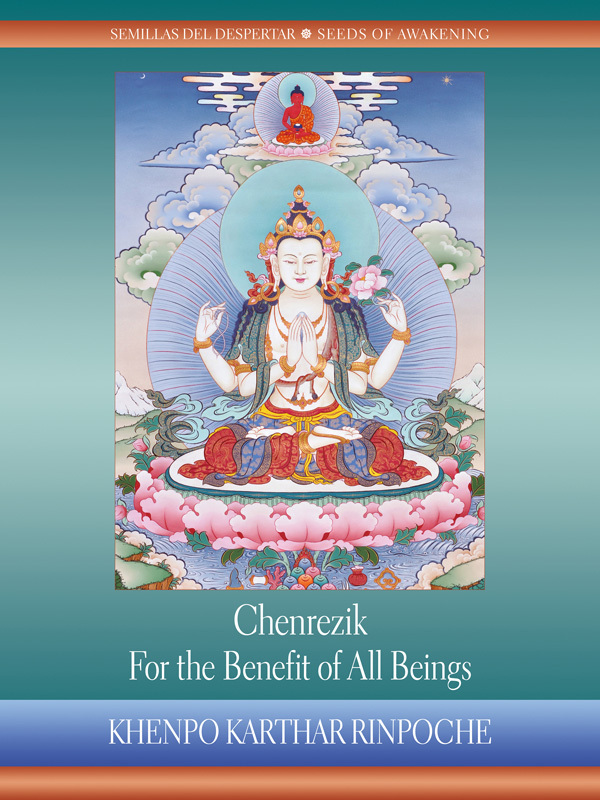 An overview of the vajrayana method of meditation on Chenrezik, the bodhisattva of compassion, is also included. The Chariot that Travels the Noble Path (སྒྲུབ་བརྒྱུད་རིན་པོ་ཆེའི་ཕྲེང་བ་ཀརྨ་ཀཾ་ཚང་རྟོགས་པའི་དོན་རྒྱུད་ལས་བྱུང་བའི་གསུང་དྲི་མ་མེད་པ་རྣམས་བཀོད་ནས་ཞལ་འདོན་རྒྱུན་ཁྱེར་གྱི་རིམ་པ་འཕགས་ལམ་འགྲོད་པའི་ཤིང་རྟ།) is the standard practice text for the mahamudra preliminaries in the Karma Kamtsang tradition, composed by the Ninth Gyalwang Karmapa, Wangchuk Dorje. 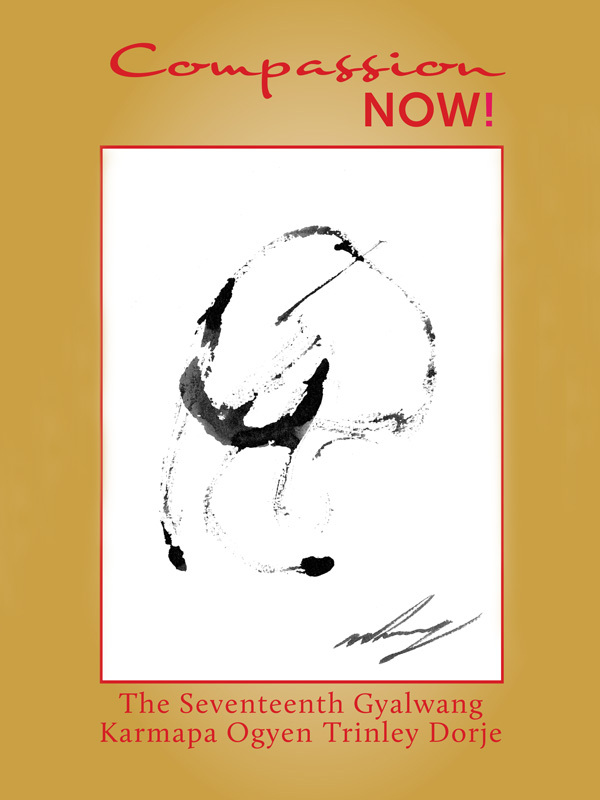 Presented here is a new edition prepared by the Seventeenth Gyalwang Karmapa, Ogyen Trinley Dorje, who wrote a new lineage supplication and made other edits in the guru yoga practice to bring it closer to the original sources. This practice should be done only by people who have received the appropriate empowerment, transmission, and instruction from a qualified guru. 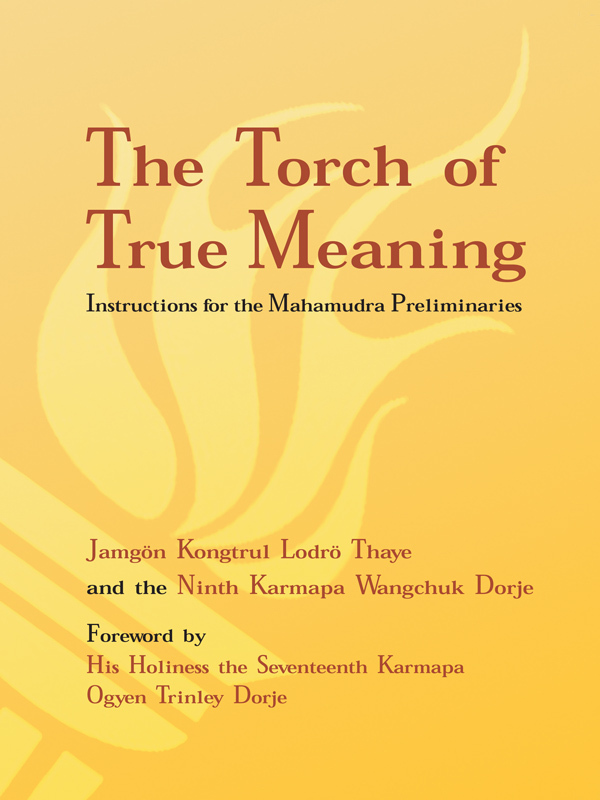 The commentary for the ngondro practices featured in this ebook is published seperately as The Torch of True Meaning. Ngondro for Our Current Day also gives instructions on the short ngondro practice by the Seventeenth Gyalwang Karmapa. Though the visualizations are slightly different, the general principals are the same as for this practice. One of the most highly revered living masters of the Karma Kagyu lineage, Khenpo Karthar Rinpoche offers here a detailed explanation of the Chenrezik practice, based on For the Benefit of All Beings as Vast as the Sky (Drodon khakhyabma), a text composed by Thangtong Gyalpo. Drawing on decades of experience guiding Western students and with the sparkling clarity that is so typical of his teachings, in this book Khenpo Karthar Rinpoche offers students all that they need to plant their own seeds of awakening. Khenpo Karthar Rinpoché, uno de los maestros vivos más respetados de ese linaje, ofrece aquí una explicación detallada de la práctica de Chenrezik basada en El bien de los seres que llena el espacio (Drodon khakhyabma), compuesta por Thangtong Gyalpo. Con décadas de experiencia en guiar estudiantes occidentales y la brillante claridad que caracteriza sus enseñanzas, en este libro Khenpo Karthar Rinpoché ofrece a los practicantes todo lo que necesitan para sembrar sus propias semillas del despertar. 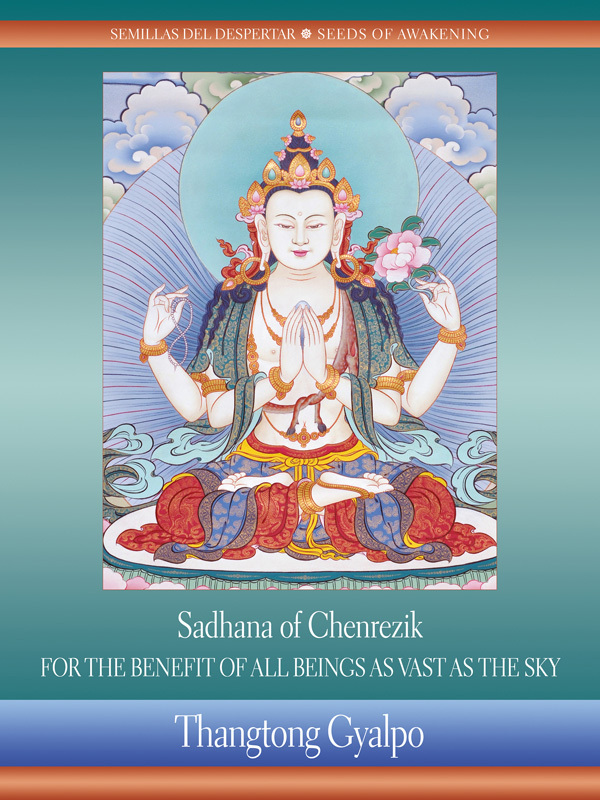 The Chenrezik practice, For the Benefit of All Beings as Vast as the Sky (ཐུགས་རྗེ་ཆེན་པོའི་སྒོམ་བཟླས་འགྲོ་དོན་མཁའ་ཁྱབ་མ་བཞུགས་སོ།།), composed by Thangtong Gyalpo. La práctica de Chenrezik basada en El bien de los seres que llena el espacio (ཐུགས་རྗེ་ཆེན་པོའི་སྒོམ་བཟླས་འགྲོ་དོན་མཁའ་ཁྱབ་མ་བཞུགས་སོ།།), compuesta por Thangtong Gyalpo. The 17th Gyalwang Karmapa compiled a condensed ngondro text especially for those who wish to complete their preliminary practices in the context of busy work lives. It was published earlier as a seperate ebook: Brief Recitations for the Four Preliminary Practices. In this succinct teaching presented in 2006 by the Gyalwang Karmapa in Bodhgaya, India, he guides students through the details of the visualizations of Refuge, Vajrasattva purification, and Mandala offerings — often punctuated with his good humor. The commentary does not include the practice of Guru Yoga, which according to the Gyalwang Karmapa’s advice should be done only with blessing and instructions of one’s own guru. Guru yoga is essential for the realization of mahamudra, and in the Karma Kagyu lineage, the primary guru yoga practiced is the Four-Session Guru Yoga by the Eighth Karmapa Mikyö Dorje. This volume presents newly rediscovered instructions for this practice by the Fifth Shamar Könchok Yenlak and the Ninth Karmapa Wangchuk Dorje along with the more well-known commentaries by Karma Chakme, Karmay Khenchen Rinchen Dargye, and the Fifteenth Karmapa Khakhyap Dorje. These texts give clear guidance that, when accompanied by instruction from a qualified master, will help practitioners develop the profound realization of devotion mahamudra. Commentaries by the Fifth Shamar Könchok Yenlak, the Ninth Karmapa Wangchuk Dorje, Karma Chakme, Karmay Khenchen Rinchen Dargye, and the Fifteenth Karmapa Khakhyap Dorje.